Overwatch is a great shooter – meticulous, colourful and exciting. Three adjectives you could just as easily ascribe to Blizzard’s infrequent animated shorts that they’ve been slowly churning out for each character in the game’s roster. The last one was nearly nine months ago, with the introduction of Sombra and her inclusion in the game. But if waiting means Blizzard got to tackle one of the best characters in their shooter, it was worth it. Feast your eyes on the origins story of Mei (and Snowball). Taking place entirely at Ecopoint: Antarctica, the short chews through Mei’s first tenure with Overwatch, and the nine year gap in her life that occurred when the entire station when into cryogenic hibernation. During that time some bad things happened – Bastion and his other mechanical friends went to war, Overwatch saved Earth and the super defence was was disbanded. Mei’s friends at Ecopoint also weren’t as lucky as her, which makes for a tear-jerking opening. 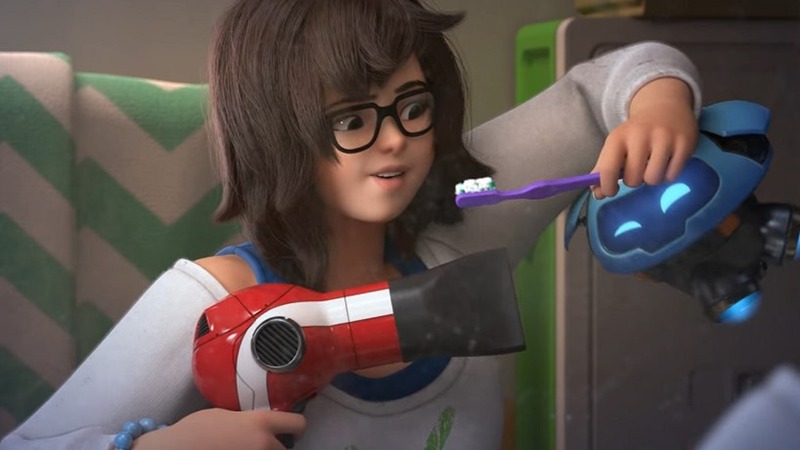 Determined to find out what happened to the rest of Overwatch and escape the station, you’ll watch Mei and Snowball prototype and build her first Endothermic Blaster – neatly made from a hairdryer and unused water cooler (someone smell a new skin on the horizon?). As you might expect things don’t go as smoothly as you might want them too, so keep those tissues close by once again (I’m still getting over that gut-wrenching Bastion short). Overwatch is still trucking along, with Blizzard recently announcing big changes to Competitive Play for the upcoming season 6. But if you’re just invested in its characters, this one’s for you.